For some time I have known that there are visitors or residents from civilizations beyond Earth living within our seas. The dolphins and whales have made this clear to me. In addition, I have on occasion, personally witnessed UFOs entering and departing from the ocean. It is safe to assume that an advanced civilization with vehicles that are capable of deep space travel will also be capable of operating under water. Both conditions require completely self-contained systems aboard the vehicles. Space beings who prefer to observe us and assist us unseen, would wisely use the ocean environment for their base. 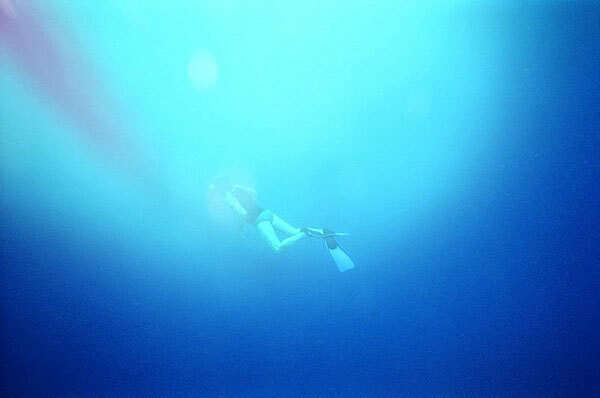 Many of us on the Big Island have experienced large, transparent, sphere-shaped Balls of Light as big as a ballroom, while swimming among the dolphins. These spheres are near the ocean's surface when we see them. This is how we interact with these Domes of Light. We notice the dolphin pods of proximately 150 dolphins swimming close to shore. They come to our boat and then bring us to these milky-white plasma balls. They seem to want us to go there and so they lead us directly to it. When we swim inside, we can see nothing beyond our hands. We cannot see each other or the dolphins. We cannot even see our own feet. It is unusual to tread water, see our heads above the surface and then look below and see no bodies! It feels like our body is in two different dimensions. Within the White Sphere we can hear the dolphins' sounds as they circle within the sphere. When we surface or swim outside the sphere their sounds are no longer audible. We often swim in and out of this huge floating plasma ball for 2-3 hours. When we finally swim away and board the boat to return to land, we feel very etheric and lightheaded. We experience a quiet peacefulness, serenity, a heightened awareness of Beauty all around us, and a deep feeling of inner joy and gratitude. I am very interested to hear from other people who have seen similar ocean anomalies. Please write and let me know if you have heard of this or seen it. When my friend, Kinsley Jarrett drew pictures of space ships equipped with large pools for cetaceans, I knew he was depicting the scenes within the ships exactly as he had seen them and exactly as the dolphins had explained them to me. Recently I have learned that the inner Earth holds even more water than all of the water on the surface. In a press release dated March 7, 2002 Japanese researchers from the Tokyo Institute of Technology, stated that they conducted experiments in their labs that indicate there may be more H2O deep underground than in all oceans, lakes and rivers combined. In fact there appears to be five to ten times as much water in the Earth than on the surface. This truly makes us a water planet. For example in July of 1967, a Dutch multi-national businessman was contacted in the Oostscheld, below Amsterdam, by extraterrestrial beings who said they came from a place called Iarga, some 11 light years from our sun as we calculate distance. They were observing us from underwater and they allowed this man to visit the spacecraft in its underwater location. This is a very well documented case filling more than 400 pages of a book called UFO Contact From Planet Iarga. A witness for the Disclosure Project, presented at the National Press Club on May 9, 2001 in Washington DC is Dan Willis, U.S. Navy. He worked in the code room of the communication station in San Francisco. He received a priority message, classified as Secret, from a military ship near Alaska. by Ivan T. Sanderson, 1970 (The World Publishing Company, Cleveland, Ohio). There is a reason why the dolphins and whales are calling us to these specific areas for swimming with them in the ocean. Recently (2010) information has been released about underwater and under seabed bases in the area of Puerto Rico that are known as Seagates. These are military locations where DNA research is conducted with humans and dolphins. As part of the Super Soldier program (Omega) scientists are creating hybrid people who would inherit some of the abilities of dolphins such as advanced telepathy, echo location abilities and multi-dimensional capabilities. For more information about this classified military operation listen to the You Tube interview with one of the Super Soldiers, now a whistleblower, Aaron McCollum. One day, much to his surprise Kinsley was invited aboard an extraterrestrial spaceship where he witnessed many things including large pools for cetaceans within the ship. He willingly met with the ETs for the next couple of days, in the woods at 2:00 pm to return onto the ship, finding the alien-looking people friendly and interesting. Here are 2 of the pools he subsequently drew and faxed to me, knowing about my life with cetaceans. These pictures of what he witnessed on the giant disk-shaped vehicle are of space ships equipped with pools for dolphins. If you look at the large windows around the outside of the ship, you can see whales passing by. It seems apparent that the ship is underwater. Kinsley drew the scenes within the ships exactly as he had seen them. It was significant to me because the dolphins had communicated to me in the past that they are in contact with extraterrestrials and they enter the underwater vehicles to communicate information about the oceans to the ETs. Check out the Images gallery for his pictures. If this seems strange to you, take a moment to realize that the dolphins have very advanced sonar skills and abilities of telepathic communication (as has been revealed repeatedly in captive situations when one dolphin communicates a behavior, desired by the trainers, to another dolphin telepathically and the dolphins then all display the behavior spontaneously. It is what we call 'pod mind.' Do you think advanced extraterrestrial civilizations have the same telepathic abilities as the dolphins? I do. Does it seem unusual that they would communicate in this way with the masters of the ocean? Not to me. This is why I believe that the ETs and the Cetaceans work together for the good of Oceania. Remember that the oceans and seas cover over three quarters of the surface of the globe. Although we as a human race are just beginning to explore reefs and other formations that contour the ocean floors, ETs with their advanced technology have been using the seas as their home base for centuries or longer. From there, they measure and monitor levels of natural spiritual/physical evolution and devolution, the life-force of the ocean, electromagnetic waves, chemical permutations, military weaponry and nuclear energy on the planet. That which you call a grid and which you saw through the eyes of the Higher Self can not be seen by the ordinary eyes for although as human beings, one's eyes are suitably equipped to function within a wide range of frequencies, they are nevertheless limited to the ultra-high ranges in which we exist. This is why most of our craft and ourselves seem often to be invisible. Yet we exist in what is to us quite a wonderful realm of existence. Had we not wished to be revealed to you, and even though your perceptiveness had been raised, you would have been unable to see the image or record the activities. We have allowed this to be documented so that such activities may be shared with your closest friends according to your discretion. It has already been known that a so-called grid system has been positioned in this locality. It is an extension from the common grid, which circles the Earth. This network has been placed under water and within the Earth eons ago and is constantly under repair. This is a requirement brought about by the continual advancement of Earth 's technologies and due to the earth movements. In brief, the main purpose of the grid is to enable our craft to more easily track accurately to any mapped position on the Earth globe, whenever the urgent necessity of our presence is required, whether this be requested by Humans or not, for we take our commands from the governing Universal Spirit Source. We have placed ultra-sensitive equipment upon certain grid locations, which you have envisaged as pyramid shapes.  These adhere to the grid sections using our form of electro-magnetic force fields, which transmit information to us on matters, which would be of little interest to you or any Human Being at this time. Let us assure you however, that because we are in service to the Divine Source, no harm will be caused. All of you are dearly loved unconditionally and it is the hope of all that before too long, in your linear time, we will become united caring for each other, the cetaceans and for all of the creatures of life upon the glorious globe of Earth. We bless you and thank you for your continued interest. Often these bases are located near areas of deepwater basins, such as the Puerto Rico Trench not far from the sanctuary of the Humpback whales in the Caribbean that we visit every year. There is a reason why the dolphins and whales are calling us to these specific areas for swimming with them in the ocean. They are bringing us to these places where unexplained underwater lights and sudden releases of fine ash and debris, stream from unknown structures below. I have witnessed this, along with other guests who are swimming with me in the water. I have learned about these places because the dolphins and whales have "called" me to swim with them there. I have swam with the cetaceans in the oceans and rivers of Hawaii, Bahamas, Azores Islands-Portugal, Canary Islands, Silver Bank-Dominican Republic (near the Puerto Rican Trench), India, Mexico, Australia, New Zealand, Canada, Belize, Peru, Egypt, Israel, South Pacific Islands and many other locations. Looking at this list, you will see that many of these places have confirmed military underwater bases established there, such as AUTEC in the Bahamas (see more below). Just as we often receive reports of UFOs over military bases on land, could it be that the Underwater E.T. vehicles are observing our Underwater bases as well. And the cetaceans are also there to assist. It is a well know fact that the U.S. Navy captured and experimented with dolphins and small whales, such as pilot whales, to learn about sonar and how to apply it to their warships. Does it then seem so implausible to think that the highly intelligent ETs would not also remain in contact with the cetaceans to garner their underwater expertise? In the case of the extraterrestrial-cetacean contact it appears to be a friendly one, since the dolphins are not adverse to assisting them. Taking this to the Big Picture, I understand that the dolphins and whales have brains that are more active then our own. That is, they have evolved in the water to become a species that has certain capabilities we have not yet achieved. What is their goal on Earth? Why are they here? They always seem interactive and kind to the human race. They are certainly not our enemy. When we look at the Big Picture, the goal is the continued evolution of life on earth to greater expressions of compassion and kindness. These altruistic qualities that would then make us compatible with other civilizations beyond our own. The dolphins and whales are helping us by educating scientists, military personnel, scholars and oceanic swimmers to the possibilities of higher evolution. They do it through love and we all feel that love as we meet with them. It is a powerful frequency. As they die in the oceans, the people of the world object to this needless slaughter. Hopefully, people will now defend our oceans and keep them clean and clear so we can survive on this wonderful planet, spiraling in space. The oceans are our main source of oxygen. We need healthy oceans to live here. All the ocean animals are part of the eco-system that supports the life of the ocean. The cetaceans and the benevolent ETs are helping us become aware of what is taking place beneath the waters of our ocean planet. Now it is up to us to stop the abuse that creates killing machines for people and wild life. This is the Big Picture for the cetaceans and the benevolent ETs on Earth. An unmanned, and perhaps unauthorized, war in Earth's oceans. According to an article in a Popular Science magazine (ebruary-March, 2008), last year aerial drones flew 258,502 hours of missions and the costs for these unmanned aircraft systems by the U.S. military is expected to be $3.76 billion by 2010.
Who is the U.S. military targeting? The Low Frequency Active Sonar is deployed into the oceans of the world using lethal decibels of brain shattering frequencies. According to an Exxon executive I know, it is a level far beyond anything normally needed for detecting underwater objects, oil deposits, schools of fish, submarines. The U.S. Navy is unchecked, going far beyond "Search and Discovery" in deploying these weapons of mass destruction in the ocean. Most of the details of these warships are in Classified intelligence archives dating back at least five decades. Have we had a chance to vote on whether or not we want to weaponize the ocean? 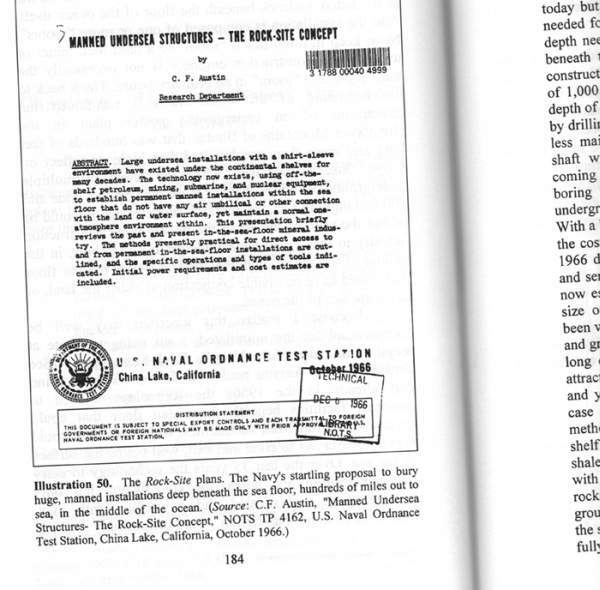 This cover of an entire abstract on the U.S. Navy's plan to build manned undersea bases can be found in the highly recommended book: Underwater and Underground Bases by Dr. Richard Sauder. Within his important book, you can find blueprints of the underwater bases. I highly recommend you purchase it through Amazon.com. It is very educational. The United States Navy's "Rock-Site" concept calls for placing large, permanently manned installations deep beneath the bed of the ocean. Such facilities could be tens or even hundreds of miles out to sea. Tunnels can be driven beneath the sea floor, extending hundreds of miles up and down the Atlantic, Pacific and Gulf of Mexico coasts. The tunnels could originate on land and extend out under the ocean for many, many miles. Alternately, a manned undersea base could be constructed beneath the sea floor with no connection with land whatsoever. The technology to do this has existed for decades. 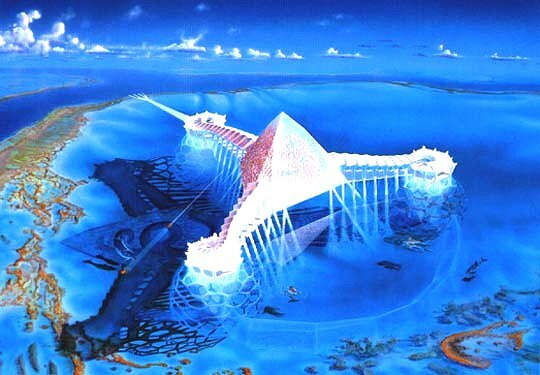 Source: Manned Undersea Structures: The Rock-Site Concept, by C.F. Austin. NOTS TP 4162. U.S. Naval Ordnance Test Station, China Lake, California, October 1966. Unknown to most people, the whales and dolphins are accidental victims of this war technology which I believe is aimed at our Star Nation (ET) friends. Most whales and dolphins sink unseen to the ocean floor when killed. Hundreds, thousands, hundreds of thousands are missing. Perhaps it is not accidental. Is there some reason the dolphins and whales pose a threat to the status quo? Is there some covert reason why NOAA does not want people to swim in the ocean with dolphins and whales and communicate with them? A joint United States/United Kingdom Agreement signed in 1963 with the concurrence of the Bahamian Government, enabled the United States to develop this area of water and certain territory on the east coast of Andros Island, readily accessible to the TOTO, and there install equipment to build three offshore test ranges. Under this agreement, the U.K. Royal Navy has equal access to the test facility. One day during a Dolphins, Whales and ET Seminar in Kona, Hawaii, we were enjoying a wonderful swim with Spinner dolphins. Looking up, we saw a huge gray lenticular cloud above us. 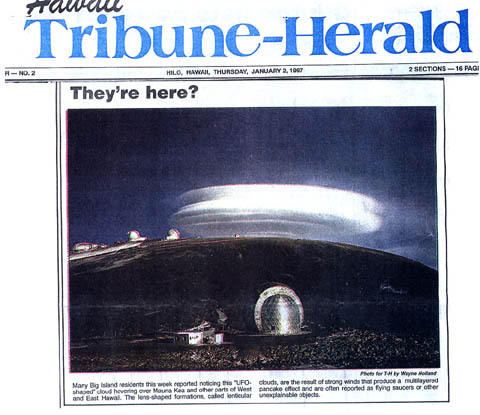 My ET friends, known as the Arcturians, had told me that their 5th dimensional spacecraft, being similar in consistency and density to our beautiful cloud formations, often appear in our skies as lenticular clouds. As I directed the attention of the group to the cloud, we felt a great field of energy swirling around us. The dolphins swimming nearby began spinning and leaping out of the water. Suddenly, a Humpback Whale came to the surface and breached. Our boat captain called the swimmers out of the water. (People are not permitted to swim with Humpbacks in the USA.) As we boarded the boat, a baby whale began breaching, over and over. Soon we were in the midst of leaping dolphins and whales. The swirling energy became more forceful as the gray elliptical cloud hovered above us and we stood mesmerized on the bow of the boat. A large waterspout formed on our starboard side. In all of my decades of ocean experiences, I have never seen anything like this before. The waterspout was swirling in a spiral and lifting water from the surface of the ocean into the air, creating a raging whirlwind. As we grasped the boat railings for support, another waterspout formed on the Port side of our boat. Then a third one appeared at the bow. We were now surrounded by a triangle of spiraling waters. The dome-shaped cloud seemed to descend toward us. The wind was increasing in intensity. We thought we would be swept up into the ship. The captain was concerned about this sudden change in weather and decided to leave immediately. As our boat pulled away we noticed a gray military airplane, a converted Boeing 707, circling repeatedly beneath the grey disk. The dolphins have told me about the presence of an underwater ET vehicle in this very Bay. On many occasions we are swimming in this Bay when the dolphin pods swim to the northern section and suddenly disappear. Traveling north in our boat, we cannot see them anywhere. This is unusual. Where did the dolphins go? There have also been numerous occasions when suddenly a large pod of unfamiliar dolphins appear, swimming to us from this northern section. These dolphins have no familiar markings that I can recognize. They are from a new pod, not the ones normally swimming with us. Even boat captains have commented, saying, "I've never seen these dolphins before." As my friend, Kinsley Jarrett has illustrated in his drawings, the dolphins are able to enter these facilities underwater, communicate and remain there until their work on the ship is completed. Then they or another dolphin pod, return to swim with us again. Our tours will begin soon after your governments officially announce us and reveal our benevolence to the world. We will also assist you in encouraging swift adaptation of many now-suppressed and/or covert technologies. To them, we will add our own. It is essential for your global society to work diligently to clean up earth's severely polluted environment. Now, you must also acknowledge your fellow sentient Beings - the cetaceans. All nations on your globe need to recognize this aquatic 'cetacean nation' as such. They must pass and strictly enforce laws to ban the killing or abusing of these creatures. You, dear Hearts, form part of a triumvirate whose sole concern is the protection and sustenance of your beautiful home - Mother Earth. Its other two members are the many orders of Ascended Masters and the numerous species of whales and dolphins that inhabit your oceans and rivers. Together, you have come to help Mother Earth and to preserve her diverse ecosystem. Initially, you will visit ships belonging to our fleet that have been observing you for millennia. They are vast, sentient and designed to educate you in the workings of galactic society. Their crews consist of a diversified group of specially trained humans. As mentioned in our previous report, these ships are not simply Pleiadean or Andromedan, but carry uniquely varied crews. During the course of your tour, we will encourage you to wander about and to ask a multitude of questions. Know, also, that some of you will be allowed to remain longer than others. We will use this additional time to familiarize you with who we are. Some of you will be invited to become liaisons for our mission of first contact. We need to set up a network on your world to teach you about our cultures, about your forthcoming role in the Galactic Federation of Light and about us. The bare beginnings of such a network already exist on your world. Our tours will be open to the entire population of your planet. Our Motherships are immense, capable of accommodating great masses of people, if need be. At these times, you will experience the sentiency of each ship and a technology that will truly astound you. Those of you who visit our bases will also notice that each area of the base seems alive. The interactive nature of our technology will be unfamiliar to you. It reflects an outlook that at first may embarrass you. The base and its inhabitants keep no secrets from one another. During the time you are there, you will become fully telepathic. Indeed, we must caution you that your every thought will be exposed. This living 'psychic' network, the foundation of our life and work, will form an active example of the new reality that you are about to enter. The subterranean residences where you will be dwelling are designed solely to help you complete the transition to full consciousness. They are now fully ready for occupancy. You will be brought there for two reasons: first, to assist in the completion of your amazing transition and second, to allow the smooth and unrestricted transformation of Mother Earth. In these surroundings, you will be protected from the widespread chaos that will overlay the Earth: the succession of massive earthquakes, the final melting of the polar icecaps and the enormous escalation in global volcanism. The changes in Mother Earth's atmosphere will be equally dramatic. You will emerge to discover a new world. 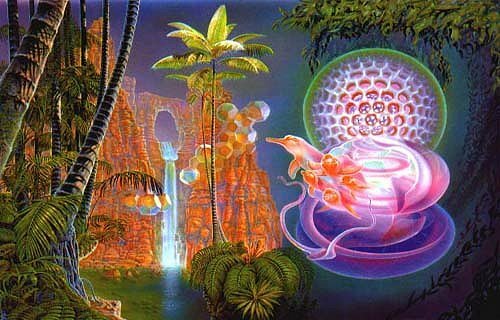 There, you will be able to assume your guardianship and to lay claim to new homes, formed from your own abilities and true desires, in your new crystal cities of Inner Earth. I am interested to hear of your experiences with Underwater Bases & Vehicles.